Good Hope foundation has continued to use the model couple approach in preventing violence against children and adolescents in families. 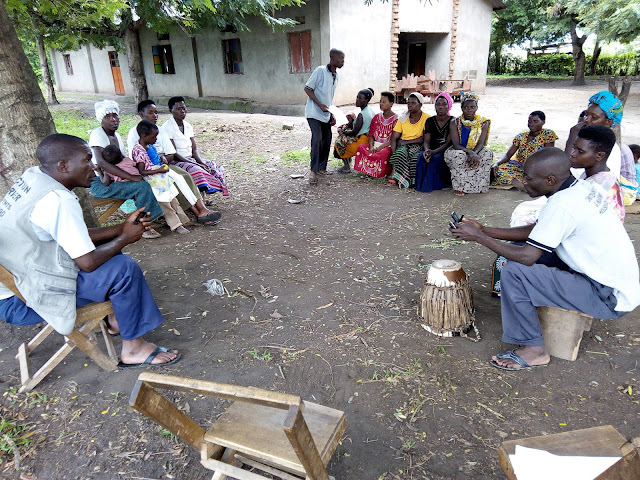 The organization identified and is working with nine (9) model couples from the two sub counties of Kisinga and Karusandara who are working as change agents in prevention of violence against children at family through influencing the parenting practices, beliefs and norms. This has been possible through organizing home visits to the most vulnerable families that expose violence against children to share with them experiences on positive parenting practices and advising them on how best they can enhance children’s parenting mainly by creating safe families where children can grow and realize their full potentials. Every couple reaches to ten (10) most vulnerable families that expose violence against children and adolescents. On 7th and 8th August 2017, at Kisinga and Karusandara sub bounty headquarters, Good Hope Foundation organized a refresh training session for the nine (9 )model couples in the two sub counties of kisinga and Karusandara who were refreshed on the concept of violence against children and adolescents and the parenting practices. The refresh training session was for the purposes of refreshing the model couples on practical skills of positive parenting practices and creating a platform for the model couples to come together and share experiences on how they are managing to change and influence the parenting practices, beliefs and norms on child upbringing among their ten families for learning purposes. Members had to challenges they are facing during the home visitation exercise and forging ways on how to overcome the challenges. 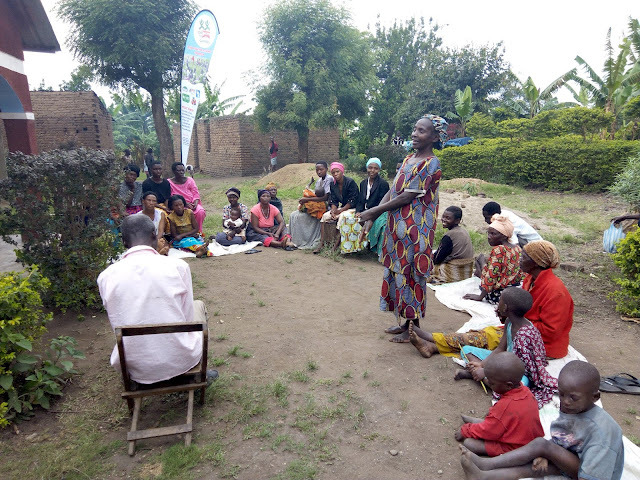 While sharing experiences, the model couples highlighted some of the key findings and some challenges they are facing in their home visitation exercise to share experiences on parenting. Key findings included; families are faced with severe hunger, poverty vulnerability among the families, high cases of domestic violence among the households visited, the visited families are also characterized with alcoholism tendencies and law education levels. 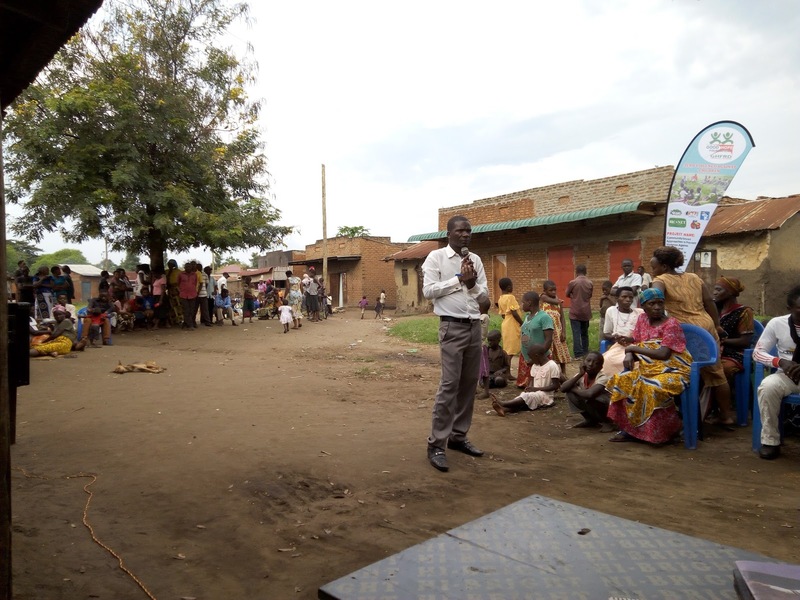 Model couples also had to share experiences on the current situation since they started having sharing visits with the selected households on child upbringing and prevention of violence against children and adolescents. As Senga Imana Fidel a model couple in Karusandara subcounty shared with us during the experience sharing meeting that “at first during my first visit to the family of Murugahara Paul of Kivengenyi village Karusandara sub county when I had a meeting with the family members, one child told me that his father beats him a lot and then I shared with the family on how it’s not good to beat children as it affects the child’s growth and mental abilities, I discussed with him some alternative methods of correcting and punishing children including giving them educative work appropriate to their age. After the discussion, the parents admitted to have been using beating as the only form of punishing and they said they will adopt and start using other methods of punishing children. When I went back children shared with me that they are no longer being beaten by the parents and parents thanked me for sharing with them the different methods of punishing children and that the alternative punishments even work well than the beating. After giving them the punishment, they even go ahead to explain to them why they have given them such punishment. This makes children to love their parents and also to easily change their characters”. As david Kaheru a modal couple in Kisinga shared with the members during the sharing meeting that one family of Mr. Alex Mugisha a native of Rwnaguhya-Kisinga town council which i visited, there was an issue where female children were not taken to school and that the parents had become demoralized on parenting of their children because of the bad characters of their children. The parents shared with me that regardless of their efforts to ensure that children attain school and grow as responsible children, 3 of their girls have been impregnated at early age when in school, 2 of their children also are at home with children and this demoralized the parents from continuing educating other female children. So as a model couple I shared with the family members that sometime we fail because of lack of corporation with the children and that there is need to treat all children equally and that to solve all these issues in their family they should create love to their children and to always involve their children in family’s meetings and listen to their views such that they can be in position to detect what children pass through and what they are likely to face when its early. I shared with them that the past should not demoralize them and that them producing does not mean it’s the end of their future they can still return in school and complete it. I advised them to continue fulfilling their duty and responsibility towards all children. I was happy when I went back for another visit, the parents had realized the value of having meetings with their children, and the value of educating all children. They had had one family meeting already, the two children who had dropped out of school have been enrolled again in school one of 13 years at kisinga vocation and the other of 10 years at kisinga primary school and they now show love to their children. 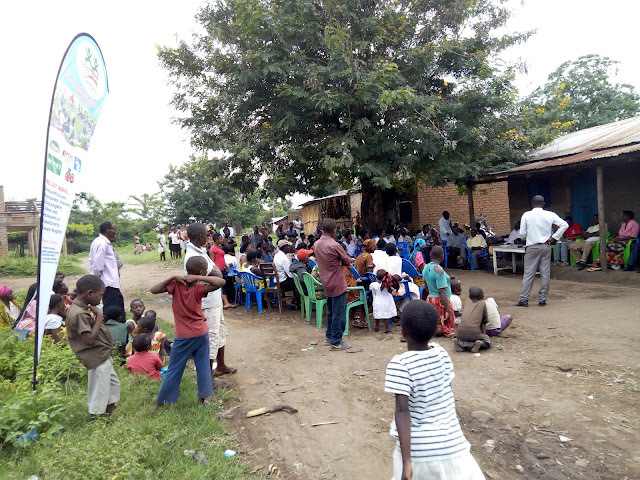 Good Hope foundation has continued to use the approach of neighborhood assembly in mobilizing community members to participate in addressing issues regarding violence against children and adolescents. 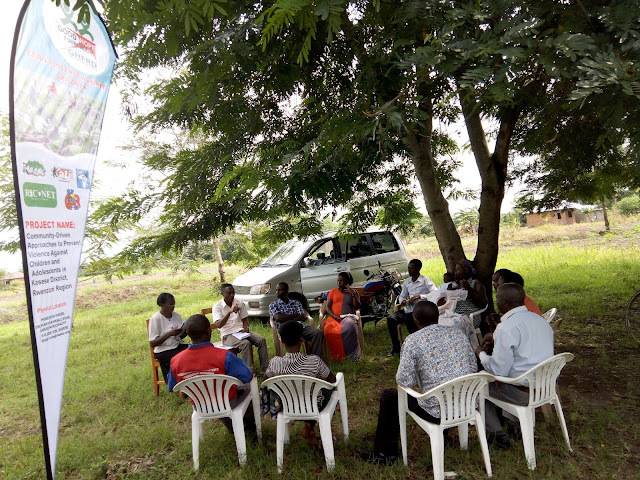 Neighborhood assembly is a local parliament/social forum through which community members come together to identify their community challenges, discuss and come up with community based solutions to the challenges in consultation with their leaders. This is spearheaded and organized by the community based organization which Good Hope Foundation is working with as ambassadors in the prevention of violence against children and adolescents through increasing knowledge and skills on children’s issues and parenting among the households, schools and community members. 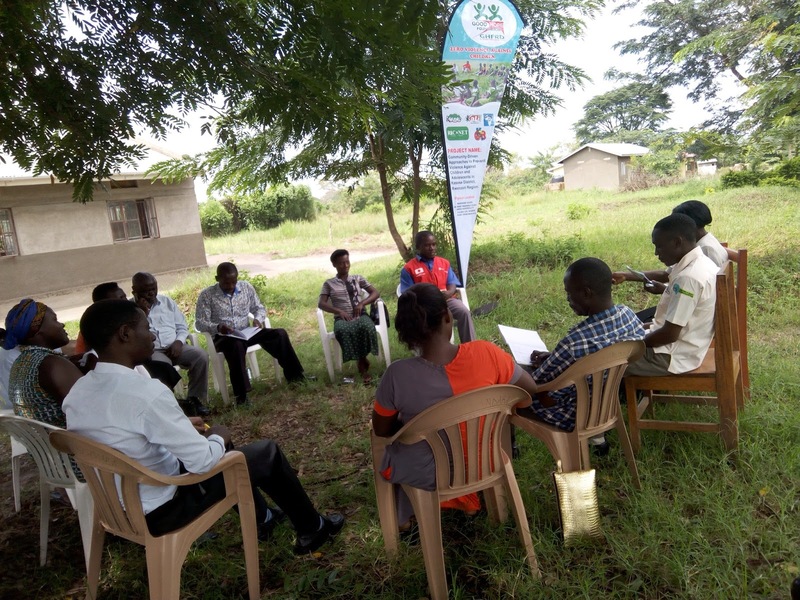 The CBO members with the project staff were facilitated to organize sub county visits to gather information on the magnitude of violence against children and adolescents, issues that perpetuate violence against children and adolescents in families, communities and school level in their respective sub counties. Among the key issues found out from the CDO, police and in the office of vice chair person LC 3 included; increased reduction in school enrollment among the schools in Kivengenyi, the law education levels, alcoholism among the children and adults, the high cases of defilement, child marriages and domestic violence. 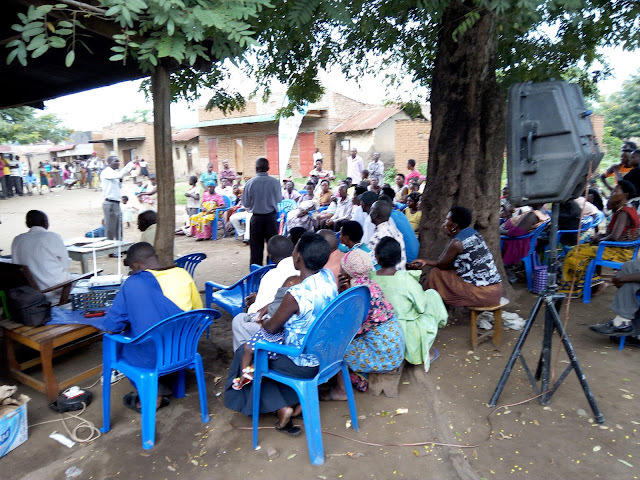 On 30th September and 1st October 2017, at Kisinga trading center-Kisinga sub county and Kivengenyi trading center-Karusandara sub county, two (2) neighborhood assemblies were organized by the CBO members which we are working with and over 356 (162m and 143f) people attended. Among those who attended included; the CBO members, police (CFPU), CDOs, vice chairperson LC3, community child rights activists, parish councilors, religious leaders, as well as other local leaders. The neighborhood assemblies were on the theme “Ending violence against children and adolescents”. The neighborhood assemblies where mainly organized for purposes of creating a platform for community members to discuss community issues affecting the growth and development of children in their respective communities and both leaders and community members come up with local solutions. 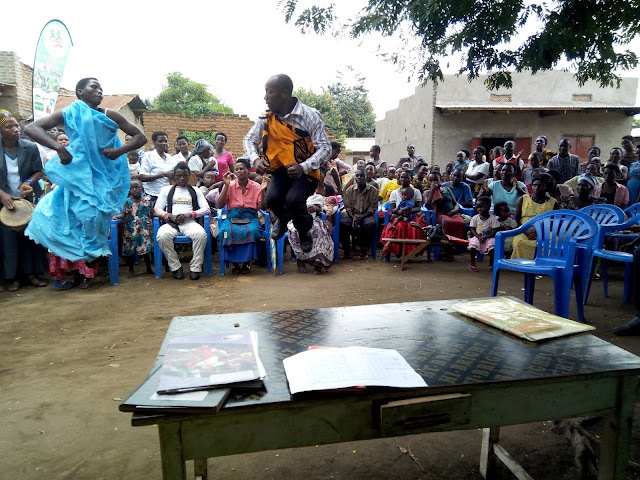 - The issue on children’s education was highlighted by both members of Kisinga and Karusandara for example members of kivengenyi village raised a concern on the state of their only existing schools in the village which they said will collapse soon. The village has one secondary school and it’s the only secondary school in the sub county and that is Karusandara Seed secondary school and one primary school in the village which is Karusandara SDA primary school. Accordingly members said the schools have continuously registered a drastic decrease in students/pupil enrollment every term due to various factors. - Teachers and the school management were also blamed for the fall of the schools especially teacher’s absenteeism and the weak management that fails to coordinate and involve the parents in the school programmes. - The low monitoring and supervision of schools by the inspector of schools, center coordinating tutor, councilors and the sub county leadership was also mentioned to be among the key factors for the collapse of the schools and low education levels in these respective communities. - The community members resolved to participate in monitoring their schools especially the attendance of teachers at that any teacher who shall be found coming late or absconding from work shall be arrested by the community members. - The parish councilor Karusandara parish was committed to address the issue of insufficient supervision and monitoring of schools by the sub county leadership and the area inspector of schools in the sub county. - Community members to work with the police to search and arrest anyone who shall be found using children for paying work. - The police also was called upon to strengthen its community policing programmes on issues regarding children protection. - Parents were also called upon to love their children and prepare them to become good citizens in future especially through ensuring that they keep in school and complete school. This is possible through providing all the basic needs to the children and avoiding situations that increases children’s violation. - Community members were also called upon to report cases of violence against children to the relevant stakeholders. They were also advised to always participate in parents meetings whenever they are called upon by the school management. YOUTH AND WOMEN GROUPS SUPPORTED TO ENGAGE IN INITIATIVES GEARED TOWARDS PREVENTION OF VIOLENCE AGAINST CHILDREN AND ADOLESCENTS. While it has been noted that poverty has a direct link with violence against children and adolescents, Good Hope Foundation is supporting youth and women group’s initiatives geared towards preventing violence against children and adolescents. Women and youths groups have been seen at the center of preventing violence against children and adolescents through mobilizing community members to prevent the vice by sensitizing them on the prevention of violence against children and adolescents. Additionally women have been seen being at the center of ensuring that children get what to eat in most of households, provide clothing to the children but little or no support towards the education of children and provision of other basic necessities which has been attributed to their limited engagement in income generating activities. 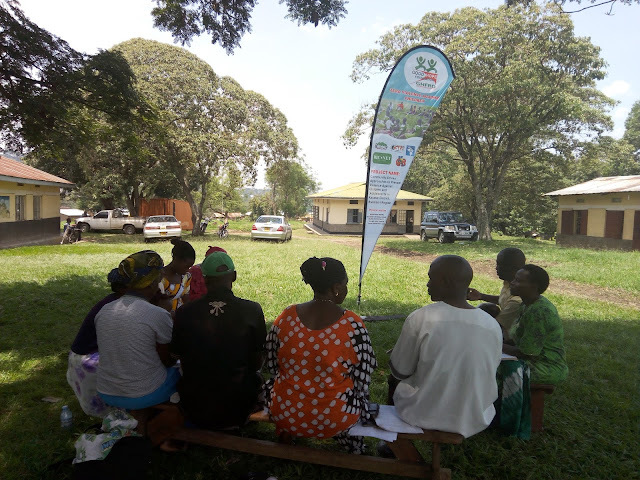 Good Hope foundation identified and supported four (4) CBO initiatives geared towards prevention of violence against children in the two sub counties of operation that is Karusandara and Kisinga sub counties. The supported CBOs included one youth group and one women group per sub county. Group assessment was done to identify and assess the capacity gaps of the groups in implementing the initiatives and creating linkages between the supported initiated on prevention of violence against children and adolescents. On 25th and 26th of August 2017 Good Hope organized 4 training for the 4 CBOs in the identified gaps where 117 (83f and 34m) group members attended the trainings. Rural Youth Initiative for Development (RYID) and St. Lucy Women Group all in Kisinga Sub county where trained and supported in piggery management as well as in kitchen gardening which are geared towards boosting the income levels for the members as well as boosting food security and nutrition at family levels. While Kanamba Women group and Kevengenyi Youth for Development all from Karusandara sub county were trained and supported in piggery management and goat keeping/rearing. The support was indented to strengthen the capacities of youth and women organizations to be able to actively participate in income generation activities to improve their livelihoods as well as to strengthen the capacities of the youths and women to be able to participate in reducing violence against children and adolescents at family, community and school levels through sensitizing communities and participating in school, family and community initiatives aimed at reducing violence against children and adolescents. The four CBOs supported included; from Kisinga, Rural youth initiative for development (RYID) which has a membership of 35 members (20f and 15m) and it was supported in poultry project, St. Lucy women group with a membership of 30 members (25f and 5m) was supported in boosting their piggery project while from Karusandara they include; Kanamba women group which has a membership of 27 members (23F and 4M) was supported in their piggery project while also Kevengenyi youth for development with 25 members (15 F and 10M) was also supported in piggery project. Group members committed them selves to participate in community and school initiatives geared towards prevention of violence against children and adolescents. As members they will identify initiatives that they can initiate at the neighboring schools which are geared towards preventing violence against children and adolescents. Groups also had to plan for the sensitization meetings and events to sensitize the communities on prevention of violence against children and adolescents. 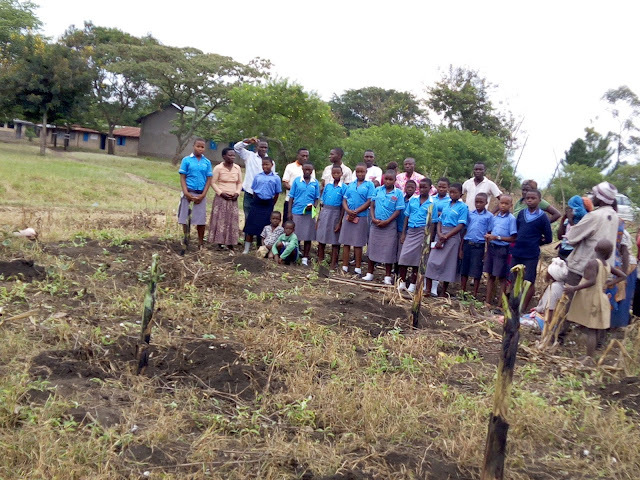 In a way of reducing violence against children and adolescents, Rural Youth Initiative for Development (RYID) has initiated a banana plantation at Kiburara primary school with the main purpose of boosting the mid day meals for the pupils at school to enhance pupils performance and enabling them to stay in school and complete school. On 20th October 2017, District leaders including Deputy RDC Mr. Aminadab Muhindo, Kasese CDO, OBR Spokesperson Hon. Clarence Mumbahya, HIVOS M&E Officer Daisy, JBM Consultants, RWECO CU Coordinator, LCIII Chairpersons, Religious leaders represented by IRC Chairperson and Secretary; Rev Ezra Mukonzo Yongeza and Rev. Fr. Expedito, Foot Peace Ambassadors (FPAs) from Munkunyu, Katwe Kabatoro town Council, Kitswamba, Karusandara and Lake Katwe Sub Counties, and Media all totaling to Thirty six (36; 15 Females and 21 Males) converged at Verina Hotel in Kasese Municipality to discuss the state of Conflicts and human rights in Kasese District. This was organized by Good Hope Foundation for Rural Development. JBM Consultant, presenting Mid-term review findings. · Project Mid- term review report should be shared with stakeholders for ownership. Deputy RDC, Mr. Aminadab Muhindo giving closing remarks. In his closing remarks, the Kasese deputy RDC Mr. Aminadab Muhindo echoed members’ comments and highlighted that Kasese Conflicts are being escalated by lack of truth telling among community members whereby People just act on wrong information. He also added that greed, poverty, miss-interpretation of rights by local people are escalating Conflicts in Kasese District. 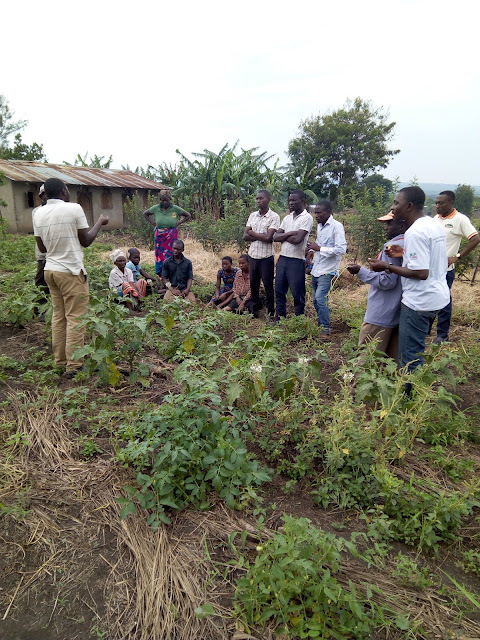 “In Katwe Kabatoro town Council for example, Salt Lake is popularly known here, for salt mining, but farmers have started cultivating around it causing silting. This is causing another conflict and as leaders, we must protect the lake” said by Deputy RDC about greed.